A green, lush landscape enhances your image in the community, preserves and increases your property’s value, and protects your investment. 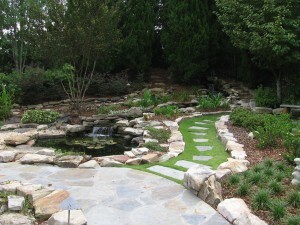 Richter Landscape Company is a leader in creating and maintaining beautiful landscapes. Our high quality, value-added services are evidenced in the numerous satisfied clients who renew their relationships with us year after year. With our proactive approach to landscape maintenance, you can rest assured that your investment is well protected. Through our scheduled maintenance program, we work with you to review all aspects of your landscape investment, identifying potential problems and proposing solutions — considering not only how to improve your property, but how to control costs as well. Our professional team is committed to giving you the best service and value in the marketplace. Let us build an advantage for your business or home by enhancing the value of your landscape.